A quick sketch done while working on a side project that I’ve been collaborating on called Hired by PLOT. It’s envisioned as both a comic book and a live action web series about mad scientists getting in each other’s way. 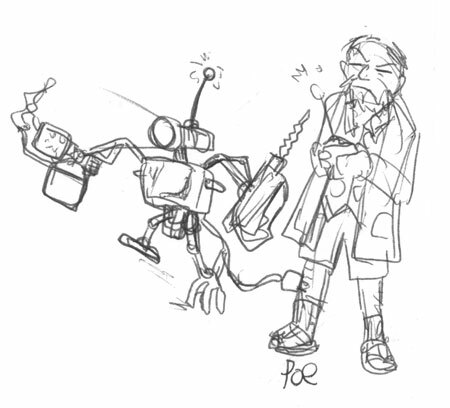 This is really just a doodle of the little remote control junk bots for Doctor Previous in an early episode.